While mold has its purpose in nature, it does no good growing in your home and is tough to eliminate once it spreads. Mold can grow anywhere there is moisture, even in areas where you can’t see it like behind your home’s drywall. Along with mold being an expensive nuisance to get rid of, it can also cause health problems. The best thing to do is stop it before it starts. Use these tips to prevent mold from growing in your home. Prevent mold from growing in your home by determining the problem areas and taking steps to fix them. Proper ventilation and monitoring humidity levels are also necessary. It isn’t possible to mold-proof your home completely since mold spores are always in the air. The first step to preventing mold from growing in your home is pinpointing any problem areas. For instance, does your basement often flood? Have you noticed that an upstairs window is prone to condensation? Maybe you’ve spotted a water stain on your home’s ceiling that might be coming from a roof leak. Any of these situations can lead to mold growth. To prevent mold from developing or spreading, you may need to remove carpet from a wet basement or install mold-resistant products like drywall and paint around the shower and bath. Addressing the issue now can save you money down the road. To prevent excess moisture and humidity, make sure that your home is properly ventilated. Consider your regular domestic activities. Are they encouraging mold growth in your home? Make sure that activities like cooking dinner, bathing, or doing a load of laundry aren’t promoting mold growth by turning on ventilation fans while performing these tasks. Open your windows as often as possible, even for just 10 minutes a day. Prevent mold from growing in your home by monitoring your home’s humidity levels. According to the EPA, you should keep your home’s indoor humidity levels somewhere between 30 percent to 60 percent. You can purchase a moisture meter at most hardware stores to keep an eye on humidity levels in your home. 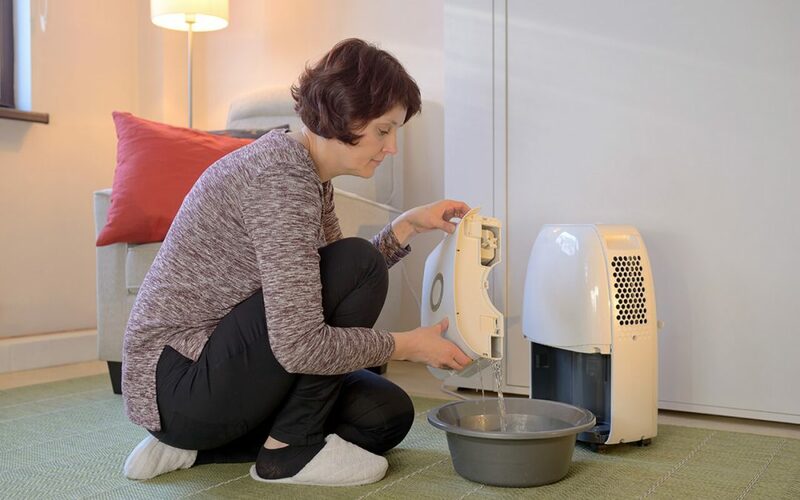 Placing a portable dehumidifier in a problem area is an affordable solution, or you could install a whole house dehumidifier on your HVAC. When you prevent mold from growing in your home, you can protect your family from a threat that can affect your health and damage your home. It’s worth the time, effort, and money to take these steps now. Certinspectors provides mold testing and home inspection services to the Hudson Valley in New York. Contact us to book our services.